Bruce J. Gary is a well-respected name in law throughout Los Angeles and Orange Counties, where he has practiced since graduating law school from the University of Minnesota in 1980. He is certified by the State Bar of California Board of Legal Specialization as a Certified Specialist in Estate Planning, Trust and Probate Law. He is also a member of the Orange County Bar Association, WealthCounsel, and the American Institute of Certified Public Accountants. 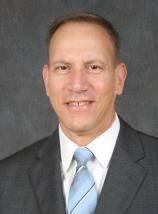 Bruce is the past chairman and executive board member of the Orange County Bar Association Trust and Estates Section. He is a regular lecturer to attorneys for the California Continuing Education of the Bar, most recently teaching a course to attorneys on Buy-Sell Agreements for California Businesses. He also is frequently asked to give lectures on living trusts to the general public in seminars sponsored by Farmers & Merchants Trust Company of Long Beach. Bruce is well known in the local probate courtrooms by both Judges and members of the bar. He is often asked by Judges and other attorneys to assist in settling complex cases. Bruce lives with his wife, Wendy Hirsch Gary, in Irvine. His hobbies include travel, volunteering, cooking on the barbeque, baking cheesecakes, and the outdoors. He also organizes blood drives for the American Red Cross. To reach Bruce J. Gary's Estate Planning and Probate Blog click here. Martindale-Hubbell is the facilitator of a peer review rating process. Ratings reflect the confidential opinions of members of the Bar and the Judiciary. Martindale-Hubbell Ratings fall into two categories - legal ability and general ethical standards. For an explanation of the ratings, please click here.